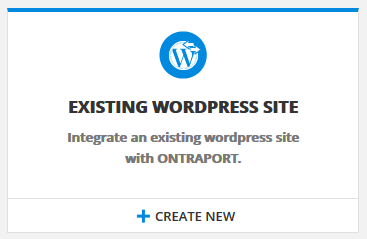 There are two methods available to integrate a brand new WordPress site with your ONTRAPORT account., using an external host or setting up a free WordPress site on the ONTRAPORT servers. There are important differences between the two methods. 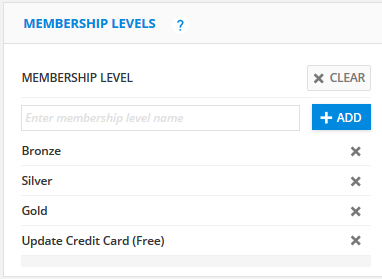 We encourage you to use the external host method described in this document for your membership site. Nearly every web host supports WordPress, as it powers more than a third of all new web sites. In addition to large shared web hosts such as GoDaddy, there are many smaller web hosts that might provide a higher level of customer service or additional features. These web hosting accounts offer "shared hosting" from about $8 per month, and often provide a "one click" installation of WordPress on your account. A step up from the inexpensive accounts are dedicated WordPress hosts offering managed WordPress hosting such as KnownHost, Siteground, and WPEngine. A managed service typically automates updating your software including plugins, provides backups, has faster page load times for up to 100,000 visits and may provide free or low cost SSL certificates. If you expect rapid growth from your membership site ask your potential hosts how quickly you can upgrade to a new plan that provides more resources. Note that a host offering "unlimited" resources on shared hosting accounts usually has limits elsewhere that are stated in the Terms of Service. Search for terms such as "server resources", "inodes", "number of files", "excessive", etc. ONTRAPORT does not recommend any individual web host, and the links provided above are simply for reference and do not constitute an endorsement. None of the links we use in this article are affiliate links. After your WordPress site is installed and ready to be configured follow the steps below to integrate it with your ONTRAPORT account. 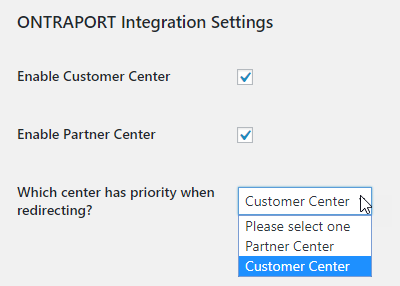 Select to enable the Customer Center and or the Partner Center if desired. The Customer Center provides a place for all members to change their password, see their ONTRAPORT invoices, update their credit cards, etc. The Partner Center provides reporting and promo tools for members of any Partner Program you have set up in ONTRAPORT. 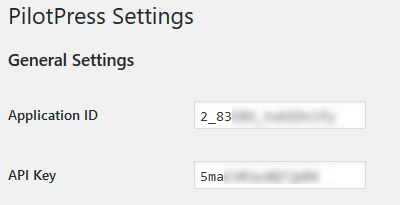 If the member logging in is both a customer and a partner set the center to display under Which center has priority when redirecting? We recommend leaving it at Customer Center in most cases; the partner will also be able to see any navigation menu links you enable for the Partner Center.